Lieutenant Colonel M.S. Dhoni meets J&K soldiers ! Indian Cricket Team Captain, Mahindra Singh Dhoni meets soldiers at LoC in Jammu And Kashmir , as Lt.Colonel M.S. 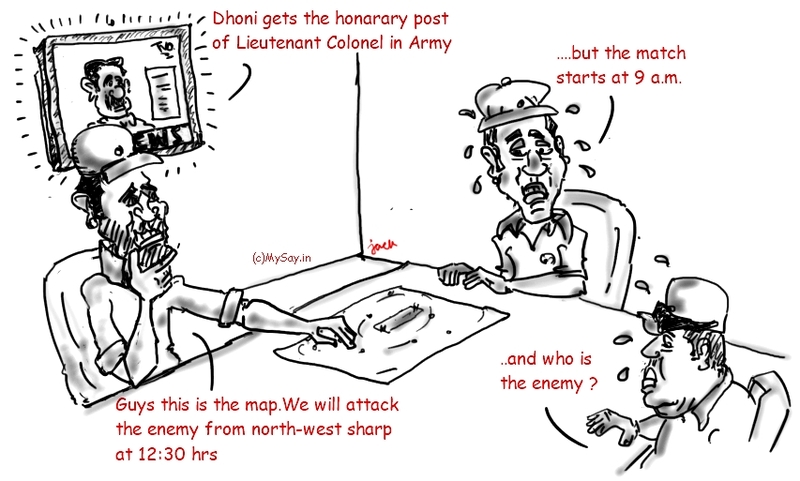 Dhoni, the honorary post awarded to him after India won 2011 Cricket World Cup,under his captaincy ! Well, in case, there is a war, will the Colonel go to defend his country or would he be excused as he is a player of national importance ? 🙂 Guess, we all know the answer !